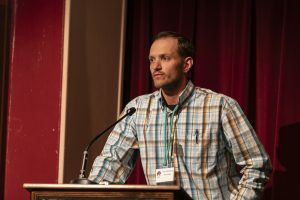 This week, we share reflections from Josh McElroy, one of our many vital volunteers at the 2018 Summit. 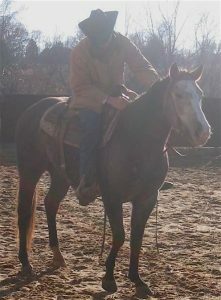 McElroy introduced Dr. Steve Peters at the Strater Theater and looked after one of Katrin Silva’s demonstration horses. McElroy grew up around horses before serving 13 years in the US Army. When he stepped away from military service, he was Sergeant First Class. He served as Special Operations Medic after attending the John F. Kennedy Special Warfare Center and School. As part of the Joint Special Operations Command, McElroy was deployed to multiple times to Iraq and Afghanistan. McElroy now teaches horsemanship and life skills at an alternative high school called The Stables in Lexington, Kentucky. He also instructs the veterans program. Watch this video of McElroy’s work, as posted by World Racing on facebook. 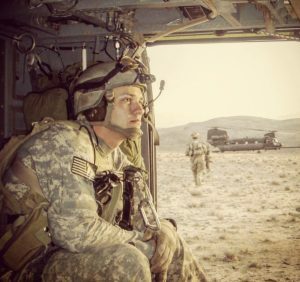 Sitting outside my room just north of Kabul, Afghanistan, in 2012, I never would have thought six years later, I’d be in Durango, Colorado, listening to people that I’d only watched on videos or read about in books. 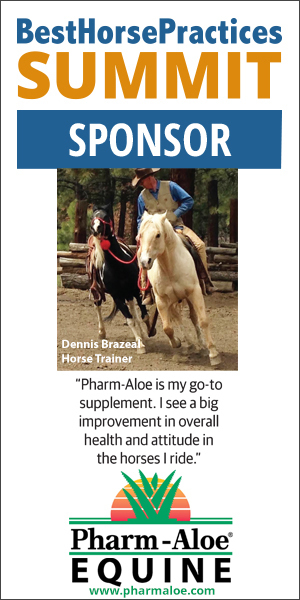 Nor could I have imagined that I’d be able to sit down and talk with so many people who were also seeking the knowledge of how to be a better partner, better leader, and better human, through their relationship with their horses. In medicine, we always look for the certifying stamp of being “evidence-based.” If something isn’t based on science and the most up-to-date knowledge in the field, it is to be immediately questioned and likely discarded. Like many of you, my relationship with horses has evolved. But that evolution took a giant leap in 2012 when I read Evidence-Based Horsemanship in Afghanistan. I found a way to relate the things I knew intuitively to science and predictability. 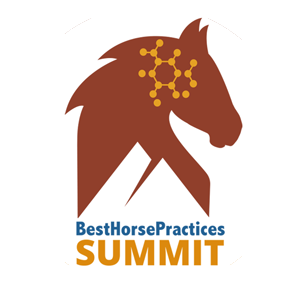 Shortly after that, I enjoyed a running email communication with Best Horse Practices Summit director, Maddy Butcher. Last month, she gave me the opportunity to come out for the Summit as a member of the volunteer crew. I was a bit skeptical as to what sort of people would be attending and presenting at the Summit. But I did my research by reading and re-reading almost every article or blog post on the Summit. Everything I saw about horsemanship and horses lined up with science, so I was confident that at least the presentations would be centered around reality. The most impactful take-aways, in fact, were not the actual presentations. The presenters, professional and passionate, gave me information that I was expecting from subject-matter experts in their fields. But the biggest impact came interacting with people from all over the country and the world, from all walks of life. 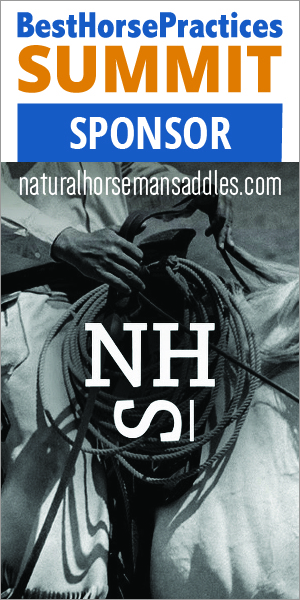 The Summit was full of those willing to accept personal responsibility for their own work with horses. The most concrete representation of this idea was the evening storytelling session, with its “Ah-Ha Moment” theme. I sat in the room and listened to people who I respect, talk not about the times they had succeeded with their horses, but the times when they had failed. I heard West Taylor speak about his abject failure in the show arena. I listened to Maddy Butcher talk about her personal struggle to accept that she wasn’t going be the best person for every horse. I heard TJ Zark talk about working harder than everyone else and understanding the effects of fear. 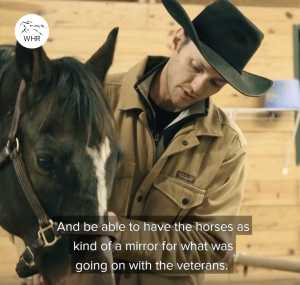 The facts and scientific evidence presented in each part of the Summit will help me as I continue to pursue my own horse training and as I teach young students and veterans. But what sets this experience apart for me is the fact that everyone who came and everyone who presented was willing to look at their own lives and their own failures in an objective way. That principle – the willingness to be objective about your work – is the hallmark of any evidence-based practice. Often, our largest failure in horsemanship and life is that we do not want to look at what we are doing objectively. We have an emotional attachment to being right. It is only when we stand back and look at our efforts in a scientific way that we can begin to make substantive changes for the better. To paraphrase Albert Einstein: if we are doing the same thing over and over and expecting different results we are never going to move forward. The Summit was refreshing not because of its methods, but because of its mindset. I look forward to seeing everyone again next year. Thanks Josh! What a nice write-up on your take of the Summit. It’s a magical gathering, not due to the information shared and imparted (although if it wasn’t substantial, it would never resonate), but due to the people that are participating together, their stories, connections, and experiences. Definitely hope to see you again next year!